This one will get donated to the local library as soon as the full version arrives. I accidentally ordered the Portable Version by mistake. 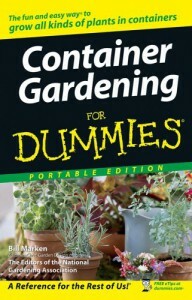 Highly recommend you skip this and just dig right into Container Gardening for Dummies.